Recreation / All-star team tournament for ages 8U-16U. Age based on Jan. 1 deadline. Tournament will have a UIC and use certified umpires for all 10U & up games. 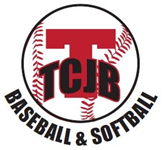 Check out this Softball tournament '2018 Elizabeth Spano Memorial Tournament - All-star Rec' with Tipp City Jr. Baseball & Softball!